As with all new processors, performance is key to the hype. Yet for once it’s not about raw speed, it’s about power and efficiency. With its low power consumption and low heat generation, Core M doesn’t need a fan to stay cool, so manufacturers can build laptops that are thinner than we’ve ever seen before. The Intel Core M is powering the 12-inch Macbook Should the New MacBook's Single Port Scare You Away? 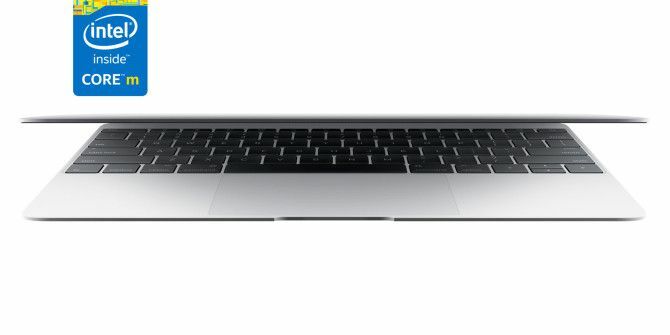 Should the New MacBook's Single Port Scare You Away? Apple recently revealed the new MacBook, and it's a jaw-dropper — but it also has only a single port. Was this a blunder, or a sign of the future? Read More , at just 13.1mm thick, as well as many of 2015’s hottest laptops. Let’s take a closer look at what it has to offer. Intel Core M: What’s So Special? The Intel Core M was unveiled in September 2014. It was targeted specifically at ultra-mobile devices, including laptops and the burgeoning 2-in-1 sector of products that combine laptop and tablet functionality Pros & Cons Of A Windows 8 Tablet Vs. A Touchscreen Laptop Pros & Cons Of A Windows 8 Tablet Vs. A Touchscreen Laptop Windows 8 is a gift for touchscreen users. But some people prefer non-touch devices. Which option is right for you? It depends on what exactly you're looking for. Read More . Core M is the first processor from Intel based on its 14nm Broadwell architecture Seven Laptop Components That Can Improve Your Battery Life Seven Laptop Components That Can Improve Your Battery Life Most manufacturers lie about battery performance. Read More . The new 14 nanometer processor (compared to the old 22nm) produces transistors that are considerably smaller than in other chips. This is a big deal because there are 1.3 billion transistors in a dual-core Core M processor. The smaller transistor size enables the entire processor to be physically smaller, which in turn reduces the amount of power needed to activate each transistor. The lower power usage means less heat is generated. These three points make up the essential parts of the Core M processor. It is 50 percent smaller than a fourth generation Intel Core processor, and has a TDP (Thermal Design Power, or the amount of power a CPU dissipates to prevent overheating What Is Thermal Design Power? [Technology Explained] What Is Thermal Design Power? [Technology Explained] Acronyms are not uncommon in the world of computer hardware. Most people know what a CPU is but others are more obscure. One example is TDP, which stands for Thermal Design Power. This specification is... Read More ) 60 percent lower. Intel says that Core M offers double the battery life Get More Runtime From A Single Laptop Battery Charge Get More Runtime From A Single Laptop Battery Charge Does your laptop battery charge not last long? This guide will offer tips on how to get more runtime from a single charge, using simple Windows settings. Read More of a typical four-year old laptop, and 1.7 hours more than a system based on a previous generation i5. However, that’s not to say that a Core M system is set to replace an i7 powerhouse. Core M rests in between the high-end Core Series of processor that incorporates the Haswell So What's the Difference Between Intel's Haswell and Ivy Bridge CPUs? So What's the Difference Between Intel's Haswell and Ivy Bridge CPUs? Looking for a new computer? Those shopping for a new Intel-powered laptop or desktop need to know the differences between the last and the latest generation of Intel processors. Read More -based i3, i5 and i7, and the low-end Atom range that features mostly in budget tablets Back To School: What Is The Best Android Tablet For A Student? Back To School: What Is The Best Android Tablet For A Student? Looking for a tablet for this school year? Check out our recommendations. Read More . 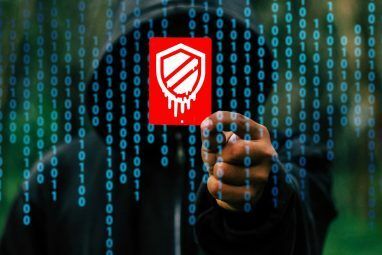 Subsequent generations of the Core Series processors will also be based on the Broadwell architecture, which should bring the performance benefits to high-end systems. Which Devices Use Core M? As expected from such a major new product the Core M has already been adopted by many manufacturers including Apple, HP, ASUS and Lenovo. Here are three standout devices in each class of product the Core M is currently featured in. As mentioned already, Core M is positioned in the middle of Intel’s processor ranges, offering a balance between speed and battery life. Intel compares the performance of the new chip to that of a four-year old laptop powered by an i5-520UM processor. It claims the Core M will deliver twice the performance for office applications, seven times the performance for graphics, and an extra four hours of battery life. This shows the target market for Core M-based products: upgraders who will see tangible and welcome improvements over their old systems. Core M is not aimed at power users who always need high-end performance in the latest hardware. Benchmark tests PC Benchmark Tests: What Are They, And Do They Actually Matter? 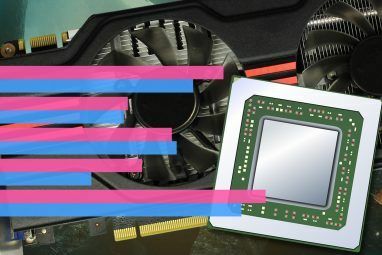 PC Benchmark Tests: What Are They, And Do They Actually Matter? There are loads of technical sites on the Internet that deal in benchmarks - a whole host of charts and numbers for almost any piece of hardware on the market. But what do they mean? Read More of the Core M against an Intel Atom device show about a two to three times improvement in both graphics and CPU performance, illustrating how the new chip is superior to processors aimed specifically at mobile devices. Compared to Core Series processors, the Core M is naturally restricted by its lower wattage. But while it falls some way behind latest generation of chips in comparison — more than 15 percent slower than an entry level 2014 Macbook Air according to our own Geekbench test — the hardware site AnandTech shows that the dual-core Core M CPU in the Lenovo Yoga 3 is comparable to a five year old quad-core i7. Who Should Buy a Core M System? 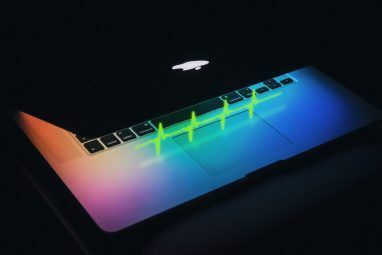 The laptop market has largely stagnated in recent years, due to the fact that for most users the benefits of upgrading are no longer obvious. If you don’t have specific needs in your computing devices, such as for playing games or editing video Edit Videos For Free On Windows With These Handy Tools Edit Videos For Free On Windows With These Handy Tools For almost every big software name, there's a great free (or even open-source) application alternative. The same is true for video editing software. Yes, we've all heard about Adobe Premier Elements, Pinnacle Studio, Avid Media... Read More , then you’ll likely find your computer is just as capable of browsing the web, editing documents and playing videos as it was the day you bought it. And if so, the Core M is aimed at you. It offers a nice bump in performance over systems more than a couple years old, with potentially significant improvements in battery life in a thinner, more attractively designed device. Although it’s worth remembering that there are more factors than just CPU that affect the battery, so this may not always be guaranteed. Some commentators have expressed disappointment at the performance of the Intel Core M, but focussing on speed misses the point of the processor. This is a mainstream, affordable chip that places an emphasis on efficiency, and may help shift laptops away from their focus on specs, and much more on great design and improved user experience. Are you excited by the Intel Core M? Would you happily trade a little speed for longer battery life and a better looking product? Let us know in the comments below. Does anyone know if laptops with the Core M processor (i.e. the 12 inch Macbook) can run Pro Tools? According to the System Requirements ( [Broken Link Removed] ) the minimum requirement for the processor is Intel Core i5 (which is what the Macbook Pro/Air have). Does that mean it won't work or that it just may be a bit slower? Any thoughts? You can go to benchmarks website in order to compare the performance rating. I still use a 2008 black macbook and use it mainly for web browsing including watching streamed movies/sports, using Microsoft office suite and occasionally use iMovie for editing holiday videos. I'm considering getting a core M macbook. I presume this will suffice? Is there any benefit to be gained by spending a few hundred pounds more and getting a core i5 MacBook Pro? I have a Vostro 1400 back in 2007. It's running fine with FreeBSD installed, there's no real catch on getting a Core M which I purchased UX305 in March several years ago. It should be simple to decide as applications tend to use the type of hard drive unless you're performing graphic intense tasks. The next step is the skylake processor arriving this year, its performance will grow and more efficient than its predecessor, Core M. There are confusions around the Core M 'a' and 'c' model as they have similar specs. Could one of you elaborate on this? Wow, 14nm, that blows my mind. I have a pc from 2006 with the AMD FX-60 chip (that was top of the line then) and that thing is 90nm! I'm curious to see how small cpu's can get. Intel probably has two more die shrinks before they hit the wall on silicon. It's interesting to me how well Intel has switched its whole production to compete with ARM in terms of performance and power efficiency. AMD is really an afterthought at this point. It can't match Intel's manufacturing. Maybe it will step in to Via's role as a low cost compatible part, but outside of a narrow range of desktop chips it is at this point functionally irrelevant and I don't see that getting better without some kind of manufacturing miracle. It's very common to note something like if you're a gamer or edits video, it's not for you, but great for casual use... My concern is that my use is somewhere in between and I have no idea if this CPU is good enough for the use: for example: I edit my own photos in Photoshop, while Word is open with a couple of documents, a html editor and ftp client too, and last but not least a couple of browsers with each a fusion or more tabs open.. And I have no idea if the Core M will suffice or I should look for a laptop with Core i, e.g. the current MacBook Air..
With the exception of Photoshop, none of those tasks are particularly CPU-bound. I'd hazard a guess that as long as you don't need a prosumer-type editing workflow, the Core M probably is fast enough for day to day needs. With a reasonable amount of RAM (probably 8GB these days - 4GB is a little lean for heavy web browsing) and an SSD, you could probably be satisfied with a Core M device. On the other hand, if you're only going to have one computer, you should probably hold out for something with a mainstream notebook part. My personal preference is to do "serious" computing on a desktop machine so that I don't have to be overly concerned about relative performance of secondary devices, but I understand that not everyone has the room or the budget for that. I believe that a lot of aspects haven't been regarded in the benchmark test. Laptops with Core M processors usually have solid state drives which are considerably faster than the standard 5400RPM hard drives used in computers with i5 processors. A notebook built within the last four years can just as easily have an installed SSD. It's still possible to do an apples to apples comparison. I'm interested in these low power parts and more capable portable hardware. This is all symptomatic of the overall improvement in capability in x86 hardware, both for power consumption and for CPU horsepower. I'm glad the Core M fully supports virtualization and that it's credible for small form factor devices. It's a nice compromise option.